Just as plants and animals are each classified as a kingdom, there is also a fungi kingdom. The fungi kingdom includes mushrooms, molds, mildews, yeast and rust. 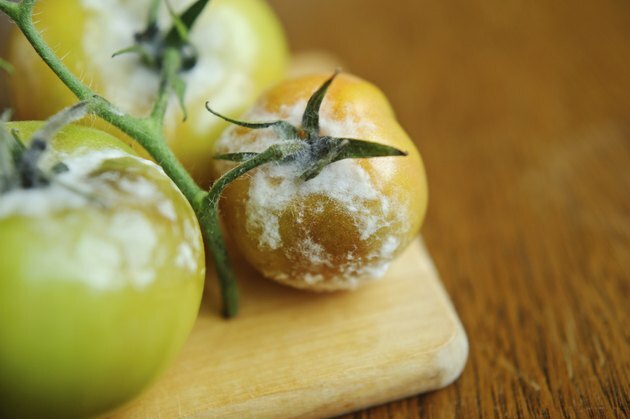 These are sometimes beneficial to humans, such as molds that make blue cheese and yeasts that make beer and bread, or they can destroy our food crops with powdery mildew, apple scab and wilts. Mushrooms can be edible or poisonous. Some fungi can make penicillin and others give us athlete's foot -- they are truly a double-edged sword. Mushrooms growing on a mossy log. Fungi were originally thought to be related to plants but are now recognized as being their own kingdom. Their cells typically have a nucleus, but unlike plants, have no chlorophylls and therefore cannot produce their own food. The multicellular forms often have branches called hypha. Yeasts are unicellular and have tough cell walls. Fungi reproduce by spores, which disperse through wind, water or animals and grow only if they land on an appropriate food source. Spores are very stable and will remain viable until environmental conditions are favorable for producing hyphae. Fungi are found in all ecological niches so it is difficult to identify a single set of growing conditions for all fungi. They grow as well in refrigerators as they do in dense forests or on animals and garden plants. While most prefer a temperature range of 70 to 90 degrees Fahrenheit, there are species that can be found below 32 degrees and others at 150 degrees. Most fungi prefer moist locations, but again there are exceptions, such as the fungi that grow on dried grains. 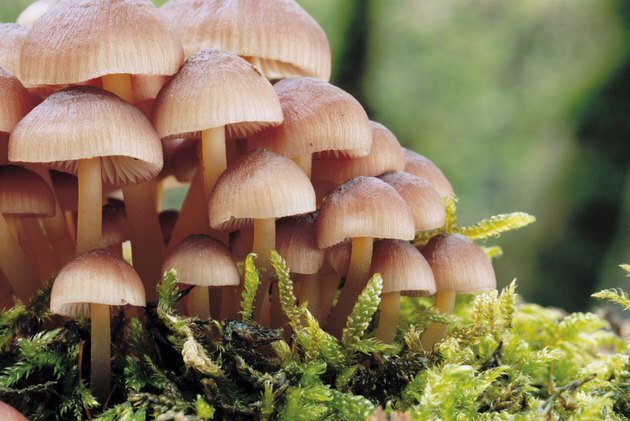 Mushrooms like the dark, but rusts and mildews can grow in sunlight. The environmental requirements are fungus-specific. 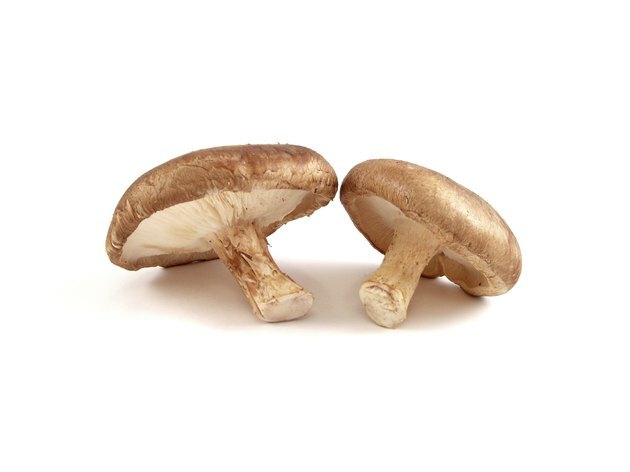 Shiitake mushrooms can be grown at home. The Chinese have been growing mushrooms for more than a thousand years. The part we eat is the fruiting body and has spores under the cap intended for dispersal. The fruiting body is attached to the fungal hyphae within the appropriate growing media. Oyster and shiitake mushrooms grow on logs, while button and portobellos grow in composted manures. Mushrooms prefer cool, humid and dark conditions at 55 to 60 degrees Fahrenheit, which can often be duplicated at home in a basement or closet. Mycorrhizal fungi live in a symbiotic relationship with the roots of plants, trees and most food crops. The hyphae link directly to the cell walls of roots. The plants make sugars that the mycorrhizae need. In return, the fungal hyphae -- which can extend out well beyond the root system -- supply the plant with water and important nutrients such as phosphorus. This giant underground network serves to make the plant more drought-tolerant and stabilizes soils. Glues produced by the fungi stick soil particles together to produce aggregates that retain water, air and nutrients critical for healthy plant growth. Molds can damage fruits and vegetables. If you are a gardener, there seems to be innumerable ways for fungi to attack your plants. Wilts, rusts and mildews are common problems. Powdery mildew usually sets in when leaves are exposed to overhead watering, summer rains or fog. Rusts also affect plant leaves. Rusts and mildew can be discouraged by removing infected leaves, increasing airflow around plants and watering only at the base. Fusarium and verticillium fungi linger in soils and cause crops including peppers, tomatoes and eggplant to wilt and die; crop rotation becomes essential. Wilt fungi can also be out-competed with compost containing beneficial aerobic microbes. Deborah Farson contributed to her first scientific journal article in 1977. While Farson has a Bachelor of Arts in zoology from the University of California, Los Angeles, her research career in biotechnology focused on cell biology and gene therapy. She writes on gardening topics as a Master Gardener and Master Composter.